E.J. 's Mailbag: Stars rising; what about Wild? The ECHL's Bakersfield Condors (I still think it's odd to see a California-based team in something once called the East Coast Hockey League?) made a little news earlier in the week when they offered teen pop sensation Justin Bieber a tryout contract for the upcoming season. Bieber, reportedly a close personal friend of NHL Network megastar Kevin "I Have No Five-Hole" Weekes, apparently played a little hockey growing up in Stratford, Ontario. While I doubt Bieber will leave behind his multimillion dollar entertainment career to join the Condors, I give the club some credit for creativity. After all, why else would anyone spend any time talking about them? Let's face it, they just got me! NHL analyst and NHL Live host E.J. 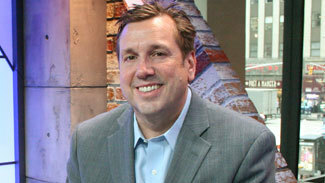 Hradek provides his take on NHL news every week. Mailbag: Habs, 'Canes, Panthers playoff bound? Mailbag: Kings to repeat? Playoffs for Isles? Either way, we wish young Mr. Bieber continued success. I have a feeling he'll be just fine. I don't think you can jump from missing the Stanley Cup Playoffs for four straight seasons to "Cup contender," but the Dallas Stars will be a more interesting group to watch with the free-agent acquisitions of greybeards Jaromir Jagr and Ray Whitney. Jagr and Whitney, each 40, enjoyed productive seasons with the Philadelphia Flyers and Phoenix Coyotes, respectively, before signing in Dallas during the summer. Both veterans benefitted from having terrific chemistry with their linemates last season. Can they find that same chemistry with some of their new Stars teammates? If Glen Gulutzan's team is going to snap its playoff drought, young vets Jamie Benn (still a restricted free agent), Loui Eriksson, Alex Goligoski, Trevor Daley and Kari Lehtonen will have to lead the way. Benn and Eriksson are particularly high-end players who don't get the attention they deserve. Newcomer Derek Roy, who was picked up from the Buffalo Sabres, figures to be an important part of the equation for the Stars. In the final year of his contract, the 29-year-old pivot will be motivated to better his 44-point output of a season ago. The Stars do have some interesting young talent in their system (D Philip Larsen, G Jack Campbell and F Reilly Smith, among others). That bodes well for the future. Right now, they're going to be hard-pressed to crack the top eight in the Western Conference. I'd say several things will have to go very right for that to happen. Like the Stars, the Minnesota Wild haven't qualified for the postseason since 2008. They do, however, come into this season with some very high hopes after the July 4 free-agent signings of stars Zach Parise and Ryan Suter. The willingness of the two top free agents to sign in Minnesota brings instant credibility to a franchise that's been under reconstruction since Chuck Fletcher was hired to replace Doug Risebrough as general manager in 2009. Suter's arrival gives the Wild a legit No. 1 defenseman for the first time in franchise history. If you hope to someday win a Stanley Cup, you need to find legit No. 1 defenders like Suter, who'll eat minutes and play in all game situations. His presence will take a ton of the pressure off fellow blueliners Jared Spurgeon, Marco Scandella and Nate Prosser. Parise brings some scoring punch to a team that finished last in goals last season. The talented and energetic winger should fit nicely alongside underappreciated top center Mikko Koivu. Promising prospects Mikael Granlund and Charlie Coyle have a chance to be helpful additions to the roster for the coming season, while recently drafted defenders Jonas Brodin and Mathew Dumba figure to be impact players on the blue line in the not-too-distant future. I believe Fletcher has done a good job stockpiling some high-end prospects. He was able to accelerate the rebuild with the monster signings of Suter and Parise. Still, I suspect the Wild will have to fight and claw to earn a playoff spot in the spring. For the Wild, the focus should remain on the long-term future. They're moving in the right direction. Yes, I do! The Kings return their entire championship roster as they seek to become the first team since the 1997 and '98 Detroit Red Wings to win back-to-back Stanley Cups. The Kings probably have the best slotted 1-2-3 punch up the middle of any team in the League with Anze Kopitar, Mike Richards and Jarret Stoll. That's pretty nice. Last spring's addition of Jeff Carter gave them more scoring balance off the wing. And Simon Gagne – who missed most of last season with concussion problems – should be available for the entire season. On defense, Drew Doughty is a special player, who, at just 22, is still getting better, more mature and more experienced. He's surrounded by a nice mix of veterans and second-year puck-mover Slava Voynov, who figures to have a bigger role. And, in goal, it doesn't get much better than Conn Smythe Trophy winner Jonathan Quick, who signed a tidy 10-year contract extension in the summer. The 26-year-old has to be the favorite to backstop Team USA at the 2014 Olympic Games (if NHL players participate). Certainly, it isn't easy to repeat. Like I say, it hasn't been done in more than a decade. The Kings, however, might be the team to do it. I think it's hard for any rookie to make an "immediate impact," but I do feel Hamilton has an excellent chance to make the Bruins' roster out of training camp. Certainly, GM Peter Chiarelli is high on the 6-foot-5, 200-pound defenseman who was selected with the ninth pick in the 2011 NHL Draft (acquired from the Toronto Maple Leafs in the Phil Kessel trade). Chiarelli told the Boston Globe he was very impressed with Hamilton's play in Russia-Canada junior challenge series in August. "He's got size and strength," Chiarelli told the Globe. "He's a smart and skilled player with range. The danger is you oversell him, of course. But he's very good." Claude Julien likely will bring Hamilton along carefully, much like the coach handled Tyler Seguin two seasons ago. Joining a strong team and learning from Zdeno Chara can do nothing but help Hamilton's transition to the NHL game. In time, I think Hamilton will settle in as a top-four defender who'll play in the League for many years to come. Short and sweet: Yes. I don't think any of us in this business make a lot of money betting against Lou Lamoriello teams. Losing Zach Parise will hurt, but a healthy Travis Zajac, clutch sophomore pivot Adam Henrique and super sniper Ilya Kovalchuk should ease the pain. For now, though, I expect the Devils to again be a problem for their rivals in the East. Vancouver will do just fine. Despite a first-round playoff loss to the eventual champion Kings, the Canucks remain among the League's top teams. The biggest change for the coming season will be in goal. Cory Schneider will be elevated to the No. 1 job. Incumbent Roberto Luongo remains on the roster, but (as you all know) he most likely will be traded before the season. Schneider has been terrific in smaller doses over the course of two full NHL campaigns, but the 26-year-old has never played more than 33 games in any regular season. It will be interesting to see how he handles the increased workload. Fortunately, he has a strong team in front of him. The Canucks again will be a playoff team. I have no doubt about that. And, if Schneider performs at a high level, I suspect they'll again challenge for the franchise's first Stanley Cup.